What is Feng Shui? Watch my YouTube Video! 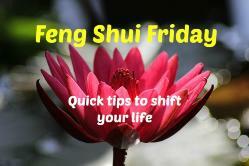 Feng Shui (pronounced Fung Shway) is based on the principle that your environment reflects and affects your life. It is an ancient Chinese art and science which works to arrange your home in a way that is harmonious and reflects what you intend to manifest. The placement of items within your space affects the energy or how the space feels. You know how it feels when you go into a cluttered space? And the difference between that feeling and walking in a garden with open grass and lovely flowers? Then, you have felt the effects of good and poor Feng Shui. Join the Treasure Box Club! 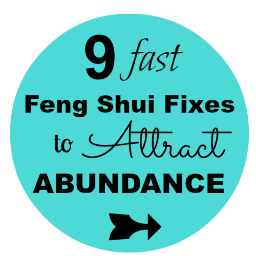 Feng Shui works quickly to unblock stuck energy and is a powerful tool for attracting the people, circumstances and things you want into your life! It creates an environment that supports you and your dream life. The biggest difference you will notice is that Feng Shui makes life easier and things simply flow to you. Check out what my Feng Shui clients are saying! The Feng Shui Bagua (prounounced ba gwa) is a mental map of your space. “Ba” means eight and “Gua” means sides. The Bagua is a square consisting of nine sections. There are eight sides in the traditional Chinese Bagua with the ninth section being the center or Health Gua (area). Each section relates to a life area and correlates to a physical area in your home. What do I do with a Bagua? Place the Bagua over the main level of your home, an individual room or your desk. The main entrance to your home or the room is always at the bottom as noted by the arrows on the color Bagua provided below so when you are standing facing your front door from the outside, your Wealth area is at the far left corner while your Partnership area is in the far right corner. Your front door, then, will usually be located in Knowledge, Career or Helpful People. Any attached structure with 4 walls and a roof (like a garage or screen porch) is included in the Bagua. Health: Physical, mental, emotional and spiritual well-being. Center/health is key & touches all! Your life is pretty good and you want it to absolutely rock! Finding Your Fiji can help you transform your life!